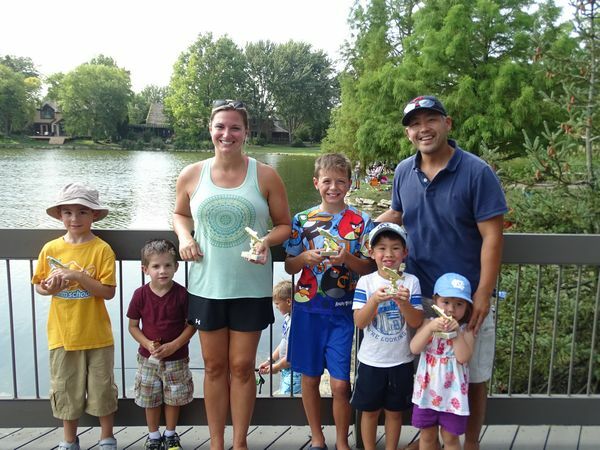 Fishing Derby - Muirfield Association, Inc.
On Sunday, August 19, Muirfield families gathered at the Holbrook pond for the 3rd Annual Muirfield Fishing Derby, presented by the Muirfield Social Activities Committee. Here are the winners! 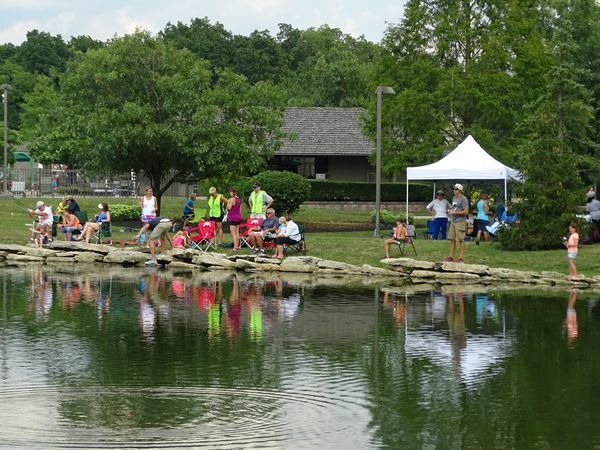 Join us each August for this fun and free family event! The 2019 date will be announced in late spring or early summer, so keep an eye on this page or on eNews! 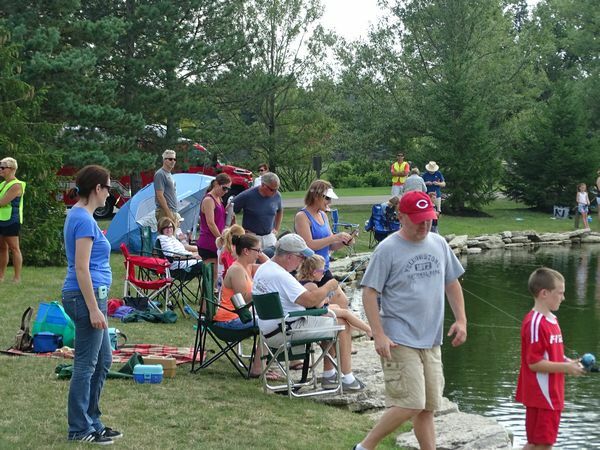 On Sunday, August 20, 2017, the 2nd Annual Fishing Derby was held at the Holbrook Recreation Complex pond. 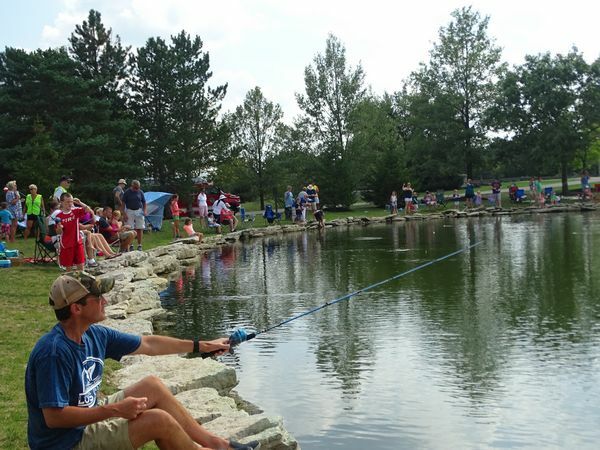 230 people registered to fish. 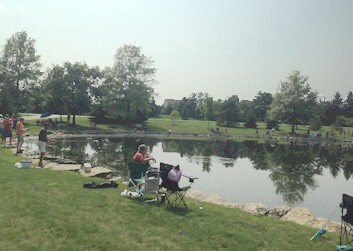 Over 60 Muirfield families came, brought blankets and food, and surrounded the Holbrook pond. 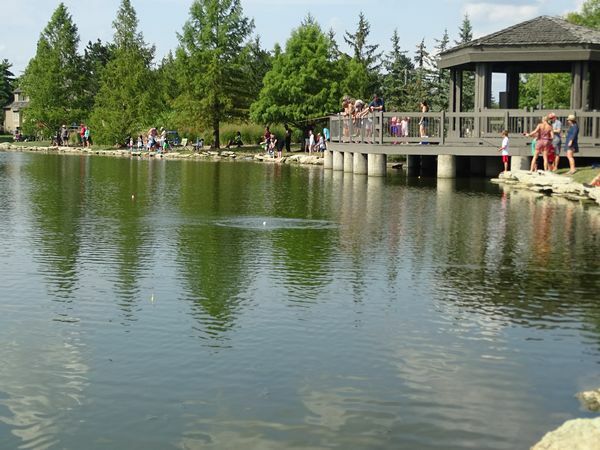 There was even a group of young fishermen fishing in the "frog pond"! 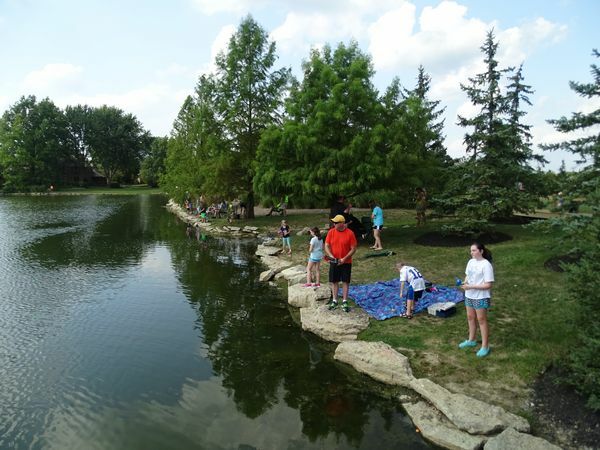 Everyone enjoyed a day filled with fishing, friends, neighbors, food and fun! Delicious ice cream treats were onhand from the Sock Hop Soda Shop food truck. A special thank you goes to Muirfield resident Mike Meyer for volunteering to be our DJ and providing lots of "fishy" music. 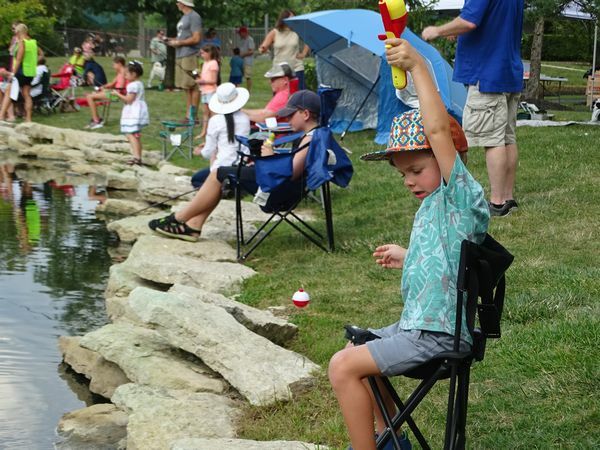 The Ohio Department of Natural Resources was terrific in providing fishing brochures, rubber "Fish Ohio" bracelets, and temporary tattoos. It was great fun and we hope to see everyone again next year! Here are a few photos from Sunday's fun. Click to see a larger version of the photo.